The University of Southampton has introduced a new academic structure consisting of eight new Faculties. Seven outstanding individuals have been appointed to lead these new Faculties, which were launched on 1 August, with one further appointment to be confirmed. Each of these new Deans will be responsible for delivering the research, teaching and enterprise activities across their faculty, as well as national and international engagement. They will also help lead the strategic development of the University as a whole. Professor William Powrie, from the School of Civil Engineering and the Environment in Southampton. Professor Stephen Hawkins, currently Head of College of Natural Sciences and Acting PVC (Research and Enterprise) at the University of Bangor. Professor Dame Wendy Hall, from the School of Electronics and Computer Sciences in Southampton. Professor Judith Petts, Pro Vice-Chancellor (Research and Knowledge Transfer) at the University of Birmingham. Professor Anne Curry, the current Head of the School of Humanities in Southampton. Professor Iain Cameron, the current Head of the School of Medicine in Southampton. 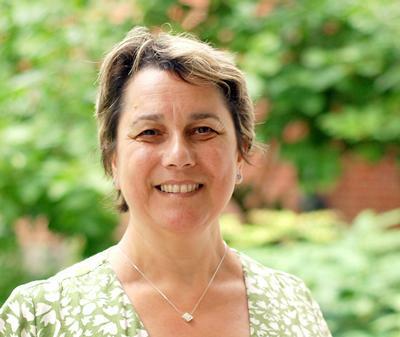 Professor Jessica Corner, the current Head of the School of Health Sciences in Southampton. A Dean for this Faculty has yet to be appointed. Professor Don Nutbeam, Vice-Chancellor of the University of Southampton, comments: “I believe that we have appointed an outstanding new leadership team to take forward our ambitious new strategy, which seeks to build on the world-leading research and top-rated education that we already have in Southampton. The Faculty will span a range of engineering disciplines, which are currently being carried out in three Schools (the School of Engineering Sciences, Civil Engineering and the Environment, and the Institute for Sound and Vibration Research). With seven University Technology Centres, world-class experimental facilities and world-leading researchers, this new Faculty is at the cutting edge of engineering research in the UK. Encompassing research and teaching across chemistry, biological sciences, earth sciences and ocean sciences, the Faculty makes use of world-class facilities, including the new Life Sciences building which is being opened this year, and the extensive waterfront facilities, where it works in partnership with NERC to host the National Oceanography Centre. The Faculty also hosts the EPSRC National Crystallography Service. The Faculty includes physics, astronomy, electronics, optoelectronics and computer sciences. It will draw on state-of-the-art facilities in Southampton, including the just-completed clean rooms in the new Mountbatten Building, which are considered the best in Europe, and build on the University’s world-leading research, particularly in web science and optical fibre technology. The Faculty of Social, Human and Mathematical Sciences will span a wide range of disciplines including education, social sciences, mathematics, statistics, geography and psychology. With a focus on interdisciplinary research, the Faculty hosts three major ESRC funded Research Centres, and a host of other specialist research centres. The Faculty of Humanities supports archaeology, English, film, history, modern languages, music and philosophy. It contains a number of specialist centres, including the Parkes Institute for study of Jewish/non-Jewish relations, the Centre for Applied Languages Research and the Centre for Medieval and Renaissance Culture. This year, following a successful fundraising campaign, the University has secured the Broadlands Archive, including the collection Lord Mountbatten’s personal papers. The Faculty of Medicine, based at Southampton General Hospital, will work in close collaboration with the NHS, in both the training of doctors and in ground-breaking research. It will build on the University’s current strengths, including respiratory medicine, cancer sciences, translational immunology, and stem cells and regenerative medicine. The Faculty of Health Sciences will bring together research and teaching in cancer, palliative and end-of-life care, active living and rehabilitation, and the organisation and delivery of care. The Faculty has a number of teaching outposts across the South Hampshire region, and is a major contributor to continuous professional development in key disciplines. The Faculty of Business, Law and Art will span a unique range of disciplines, combining together the Schools of Law and Management with the Winchester School of Art, which has extensive links with the creative industries and offers programmes in design within a business-orientated environment.